Maybe it's my raging pregnant momma hormones, but being sentimental has hit an all time high. Reminiscing about my first born son is my favorite past time. I think I have forced Matt to relive through every favorite memory of mine of the past two years. After our recent trip to Pensacola I was looking through the pictures I took and realized I had taken a very similar picture every summer of Harrison's life. 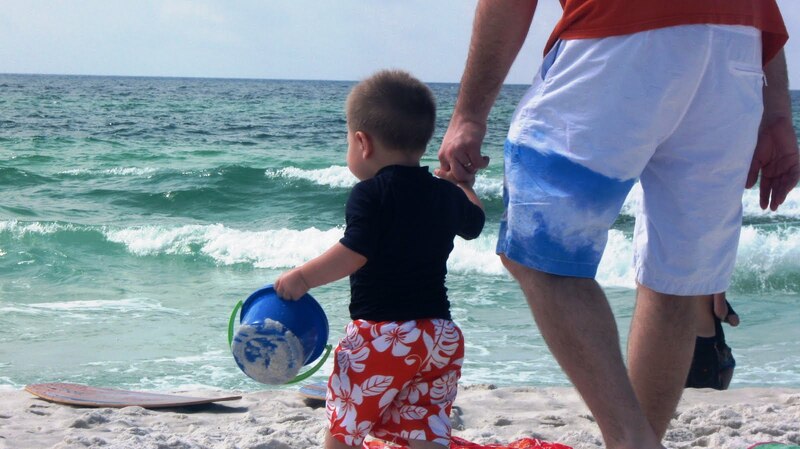 The one above is the first time Harrison ever saw the ocean, in Jacksonville, FL. 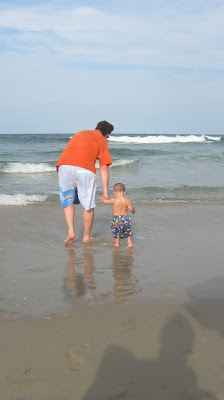 This picture is of our Outer Banks vacation last summer. I thought he had grown a ton from the previous summer, he looked like a different kid. 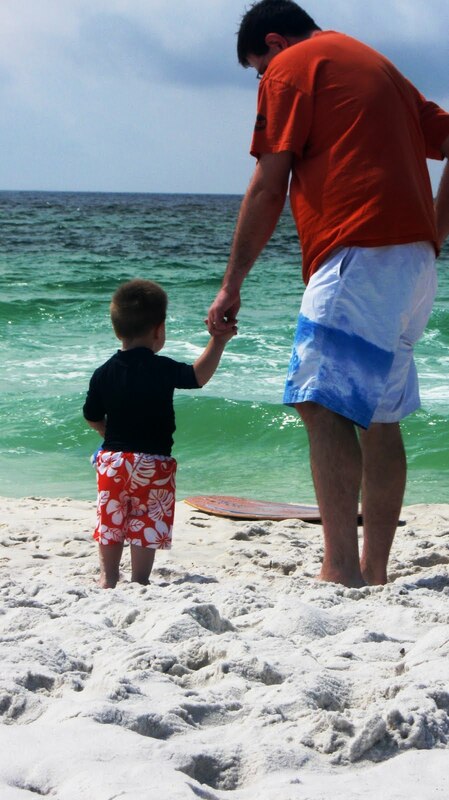 And now this summer, I'm looking at my little man headed into the waves. He has grown so fast! But it's an exciting change. 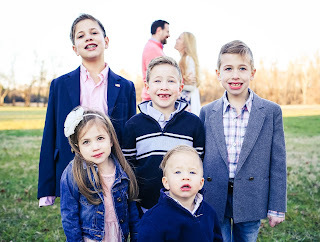 I don't have that sad feeling that some moms talk about watching their kids grow up too fast. 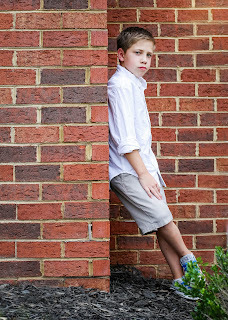 I am excited to be a part of Harrison's life and see the growth and changes taking place in him. He's still young and I'm glad he still needs us...whether to kiss away a hurt or hold his hand as he braves the waves. And I'll enjoy reminiscing every sweet moment God has blessed us with.